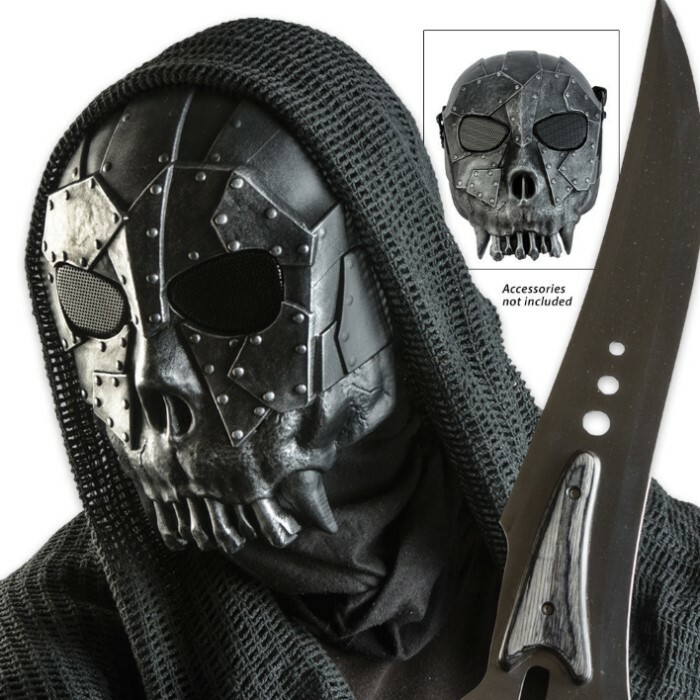 You'll look like the grim reaper coming to take away your opponents at your next airsoft match with this ABS skeleton tribal face mask. It features durable but lightweight polymer ABS composite construction with mesh eye coverings to protect your entire face. Adjustable head straps allow you to achieve a custom fit that is comfortable and won't interfere with your game. 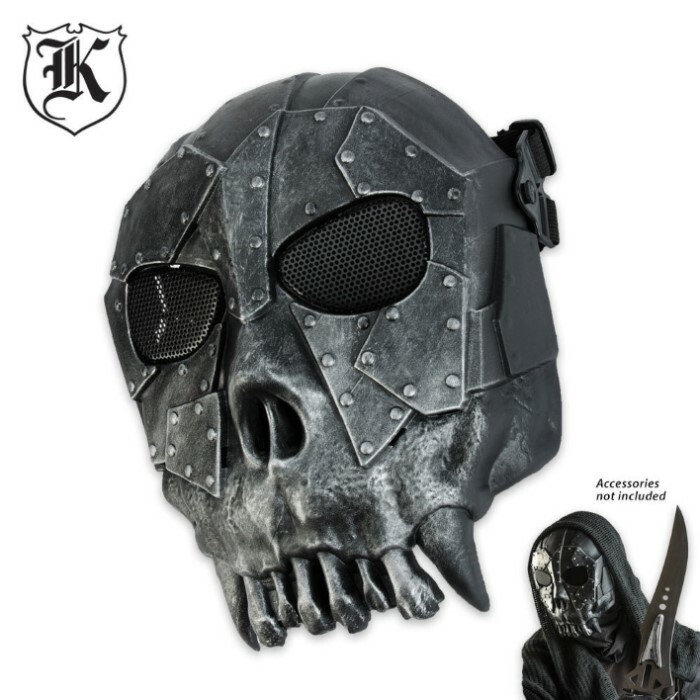 scary looking fits some what good, if you don't have a big nose other then that its a good buy. 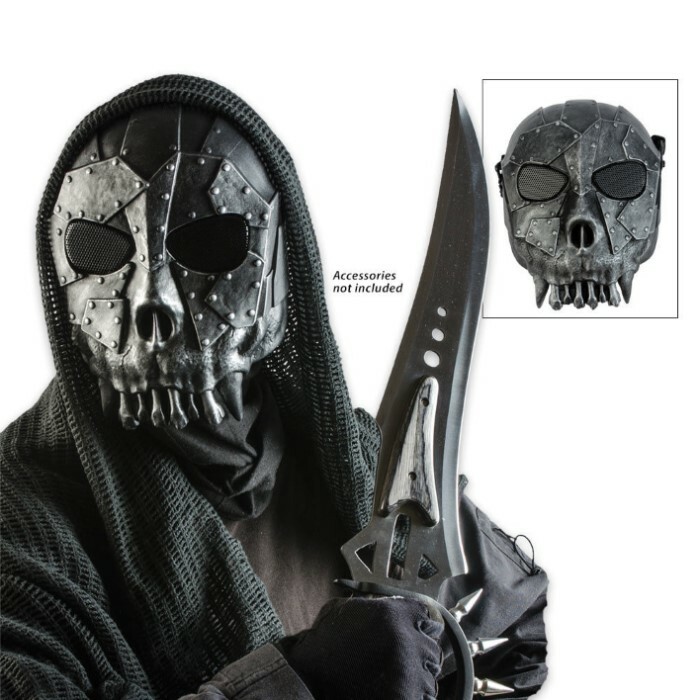 they should make Corvo`s mask from Dishonored that be awesome i would get that in a hartbeat.